Kimberly J. Doud | Littler Mendelson P.C. Kimberly also provides employers with preventive counseling on day-to-day employment issues, including investigations, discipline, terminations, employee handbooks, and wage and hour compliance. 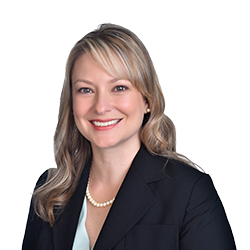 Prior to joining Littler, Kimberly practiced with a Florida-based law firm, representing employers in both the public and private sectors in all aspects of labor and employment law. During that time, she served as general employment counsel to the Greater Orlando Aviation Authority, representing the Authority in labor relations matters, including union organizing campaigns, elections, labor negotiations, grievances and unfair labor practice charges. During law school, Kimberly was an articles and symposium editor and a digest writer for the Stetson Law Review. Casting Your Safety Net: Workplace Violence Prevention in the Age of the “Active Shooter"